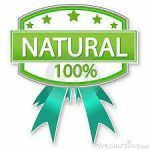 When shopping at the grocery store, outdoor market, or other venue, what does the label “natural,” “all natural” or “organic” really mean? Ironically, foods that are labeled and marketed as “natural foods” and/or “all natural foods,” may not be what you think. While natural labeling implies that these foods are minimally processed and do not contain manufactured ingredients or additives (hormones, antibiotics, sweeteners, food colors or flavorings that were not originally in the food), in actuality, the U.S. Food and Drug Administration (FDA) does not have specific, legal rules for “natural” labeling. These labels, therefore, can mean different things in different jurisdictions, with no “legal” implications necessarily defining them. Unlike “Natural” labeling, the term “Organic” does have legal implications. Foods labeled “organic” must comply with a set of standards nationally, as well as an agreed upon international standard. Organic food is produced without the utilizing synthetic ingredients (pesticides and chemical fertilizers), chemical food additives, bioengineering, or ionizing radiation. In order for a product to be labeled organic, a government approved inspector visits the farm or venue where the food is grown and/or produced to make sure growing practices meet the USDA organic standards. All organic foods display the USDA organic label. Purchasing 100% Organic, Certified Organic and USDA Organic-labeled products is usually the bet way to identify and avoid genetically modified ingredients because in the U.S. and Canada, companies are not allowed to label products “organic” if they contain genetically modified foods (foods with GMOs). 100% Organic means the product must contain 100% organically produced ingredients (excluding water and salt). This is the ONLY LABEL that certifies a completely organic product and completely GMO-free ingredients. Certified Organic/USDA Organic means at least 95% or content is organic by weight (excluding water and salt). The 5% remaining ingredients must consist of substances approved on the USDA’s National List. GMOs are not on this list, so USDA Organic products are also usually GMO-free. So what about the 5% in the USDA Organic qualifications? Some products in the 5% include animals fed antibiotics (or GMO-laden corn), non-organic cornstarch, soy lecithin and the fact that in some cases, there may be GMO contamination (via cross-pollination between GMO and non-GMO crops, trade amounts of GMO in animal feed and from seeds traveling to areas by bird or wind, and/or farmers or suppliers co-mingling various food sources). These loopholes are possible, typically and/or possibly, because there is no readily available commercially manufactured organic option. Many folks complain that shopping organic just isn’t cost effective on their current family income. However, there are ways you can eat healthier and/or organic without completely breaking the bank. Additionally, if you look over your budget, you may find places where you can save a little here and a little there in order to buy healthier, fresh produce and products. Additionally, eating healthier and making smart choices can help reduce medical bills. First, always remember to read the label to find out what’s in what you intend to consume. Keep it simple and fresh. If you don’t know what an ingredient is, investigate. Stay away from processed sugars and additives. Try staying away from processed foods. 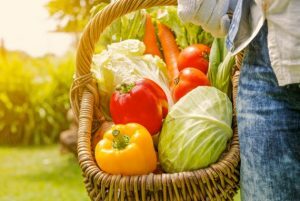 While growing a garden takes some effort, the benefits and the taste of eating fresh from your garden to table is well worth the effort, not to mention the cost! Google ideas of how to start your own garden. If you live in an apartment, Google ways to grown plants in pots on your terrace. Eating healthy often has to do with preparing your own food. Watch my cooking videos, sign up for my free newsletter, and check out recipes on this blog for simple ideas! Most stores and products have sites that allow you to sign up for or print out coupons. Start today! 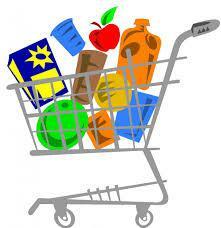 Shop in bulk at stores like Sam’s, Costco, and other outlet stores. Many of these stores now carry organic products! When you plan your week’s needs and menus ahead of time and create a shopping list, you can ascertain exactly what you will need so you prevent food waste and can keep within budget! Always clean, cut, prepare and/or store food properly to prevent spoilage. Once again, you can Google ideas. Stay tuned for more articles on this subject right here at simplydeliciousliving.com. If you have leftovers, freeze them. However, if you buy frozen meat, you can not refreeze! Using a Tupperware container, make a sign “EAT NOW” and place in your fridge for fruits and veggies and other items that should be consumed NOW before they spoil! It’s important to enjoy a meal out every now and then, however, to cut costs so you can afford to buy quality organic products that will keep you fit and healthy, you may want to budget a night or two out less a month depending upon what your budget requirements. Instead of purchasing a cup of coffee, brew some organic at home to go! The costs of purchased cups of coffee and designer coffee drinks continue to rise. Why not buy good quality organic coffee and brew it yourself and carry it in your eco-friendly, reusable container. Animals products like beef, chicken, eggs, butter, cheese, yogurt, milk, etc., are the most important food items to buy organic because of the combined risk of antibiotic, pesticide, and cancer causing growth hormone exposure. So, make sure you NEVER skimp here.